Owner : The Whyte&Mackay Group .Plc. 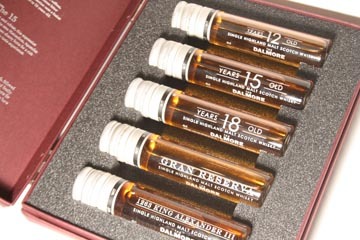 4cle tube clear Dalmore Distillery Crafted to enjoy with rich coffees, the best cigars and intense bitter chocolrate, this selection uses a fusion of ages from 10 to 15 years old. 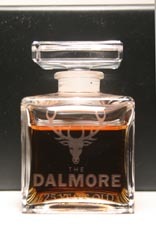 4cle tube clear Dalmore Distillery Potent and robust, this expression is aged in rare Matusalem, Apostoles and Amoroso sherry butts for a rich and aromatic taste experience. 4cle tube clear Dalmore Distillery A pioneering fusion of whiskies matured in six styles of oak-Oloroso,Madeira,bourob,Port,Marsala and Cabernet Sauvignon. Clydesdale Original Scotch Whisky Company Ltd.